Singapore is a dream city to live in. The Lion City is the center of business, holds world-class attractions and architecture, as well as a celebratory nightlife scene. With the stable growth of the economy, thousands of entrepreneurs and creatives move to Singapore with plans to turn their ideas into gold. While Singapore has numerous options for housing and rental, it can be difficult for you to find the right solution for your needs. If you’re thinking about renting a property, you may want to consider a condominium since it has many advantages. Here are seven questions to ask yourself before looking for a condo for rent in Singapore. What is my price point? 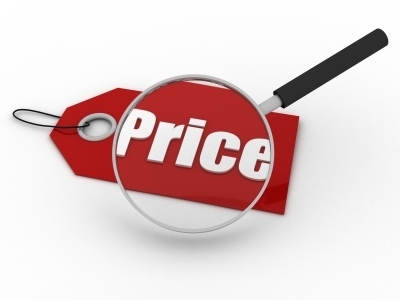 Before embarking on your search, establish your price range. Expensive and affordable condos each have their pros and cons. Find a price that’s comfortable for you to pay monthly. Is the condo near my office? It’s easy to get around by public transportation in Singapore. However, due to the number of people that ride the bus and MRT on a daily basis, a significant factor is the proximity from your office. A one hour commute will make you too tired for social life and may quickly lead to burn-outs. Convenience is key for any condominium. Am I living close to an MRT Station or is there a 24-hour grocery for emergency needs? Perform an ocular of the location before renting. How are the weather conditions? Heat is a major problem in Singapore; temperatures can get too high and affect the property and your living situations. Be sure to visit the condo at different times of the day to decipher how high the inside temperature can get. Does the condominium have the amenities I need? Are you seeking a gym access or a pool for your morning swim? Some condominiums have full facilities while others lack these amenities and make up for it through service. Decide on what matters most to you. How is the estate agent? Property or estate agents are the people who help introduce you to prospective condos and broker the deal. Select an agent who is honest, professional, and passionate to be hassle-free. Your neighbors, the association, and community at the condominium will be your day-to-day once you move in. Introduce yourself and observe to see whether or not you vibe with the existing community. It can be exciting to visit different condos and make plans in your head as to how you will design your space, but be prepared and don’t agree to the first condo you seem to love. Ask yourself these seven questions to make an accurate life-altering decision.